If you have read my blog for any length of time - you know that I just adore this girl above. 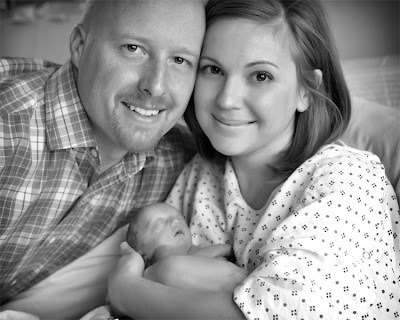 Angie Smith and her husband Todd (he sings with the Christian group Selah) are an amazing couple with three girls, one on the way and one sweet baby who is with Jesus, Audrey. I stumbled upon Angie's blog right after she started it and couldn't quit reading. I was drawn in by her story and prayed for her and for Audrey. I remember reading this post and bawling my eyes out. Angie has a gift for writing. And she has written a book telling the story of Audrey. I'm not a reader and I read it in less than two days. I couldn't put it down. If you know anyone who has suffered the loss of a child - this would be an amazing book to give them. And Angie talks at the end about how to help those who lose a child. I was so thankful for that because I think at some point in our lives we will probably all know someone, unfortunately, who will go through this and I'm saving her book as a reference. "I Will Carry You" comes out tomorrow nation wide and you can find it in Barnes and Noble, Books a Million , and Lifeway. I really encourage you to buy a copy. You will love it! And I'm also giving away THREE COPIES!! I am giving them away HERE and I will draw the winners Sunday night. Please make sure you enter on my review blog and NOT here! Thanks!